From the Livingstone Corporation, the organization that produced Barbour's Ultimate Guide to the Internet for the Christian Family. This Value Book title is a bite-sized excerpt from the Ultimate Guide, targeted specifically toward fun, informative, and educational sites that kids will enjoy. 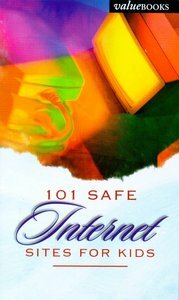 About "101 Safe Internet Sites For Kids"